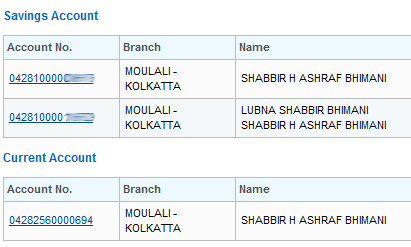 Do you withdraw money from savings bank account just before the need and not few days in advance to make few extra bucks for the money lying in your savings account? If your answer is YES you are actually trapped mentally by your savings bank account features. Let me try to help you come out of such mental trap. Let me ask you one question. Do you know anyone who has made a fortune with his savings bank account? If your answer is NO read further. Many of us park a large chunk of money in a savings bank account just because of not enough investment awareness. We should realize that this chunk of money parked in a savings account is actually termed as dead money in financial terms and will never make us a fortune. The actual use of bank account should be for safety and security purpose only and not for a return on your capital. If you can make that as your motto for bank accounts, you will not need any further action but if you cannot then you need to come out of the trap by taking some actions. To come out of the trap of return from a savings account, I use a personal current bank account instead of savings account where I don’t get anything for parking my money into my bank account. Yes, I do have a savings account with my bank and this is because I have linked my savings bank account with my demat accounts and other mutual funds. I keep only minimum balance in my savings account and everything else is in my current account. I know it is difficult to get a current account just for the sake of having a current account but there are other options as well to make yourself mentally prepared of not parking your money into a savings account. Fixed deposits as an investment option are not my favorite and so don’t expect that as an option for me. I don’t even prefer a debt fund or a liquid fund for any of my investment. I like to keep money unparked than to part it for meager returns so it is always in the back of my mind to find some good stock investment. Once I have my eyes and ears open, I can find better investment opportunities. Where do you park your money? Share your views in comments below. You are here: Home / Investing / Is Savings Bank Account Actually Saving Or Killing Your Money? Who’s Your Mentor – Biased Investor or Unbiased Non-Investor?